Charles Heintz Ranch, owned and farmed by Charles E. Heintz, is located on the second ridge in from the Pacific Ocean at 900 ft. elevation. 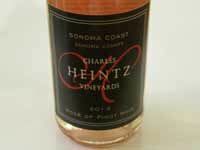 The Heintz family has farmed the same coastal ridgeline in western Sonoma County for 100 years and Charles is the third generation farmer of Heintz Ranch. Since the vineyard is a few miles from the Pacific Ocean, it offers early bud break, moderate summer days and the "Indian summer" that makes October the typical month of harvest. Soil type is Goldridge sandy loam. Total vineyard size is 55 acres: 25 acres of Chardonnay (Clone 4) planted in 1982, 20 acres of Pinot Noir (Pommard 4, 113, 115, Swan, Beringer) planted in 1996, 3 acres of Swan selection Pinot Noir planted in 2000-2001, and 2 acres of Syrah (clones 174, 470 and a field selection from Jean-Louis Chave) planted in 2002. Charles credits Ted Lemon with teaching him how to grow quality fruit and the two have been working together for 20 years. 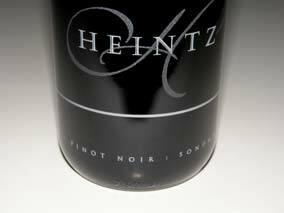 Bonded in 1997, Heintz produces 100% estate, ultra-premium Chardonnay, Pinot Noir and Syrah wines, each of which is usually less that 200 cases. 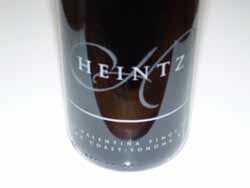 Charles Heintz was the winemaker from 1997-2002, Kevin Kelley was responsible for the 2003-2011 vintages, and now Charles has resumed the winemaking roll using Hugh Chapelle as a consultant. 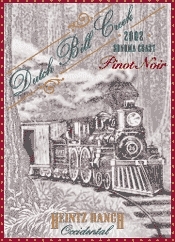 A second value-priced Pinot Noir and Chardonnay are produced under the Dutch Bill Creek label using a distinctively different winemaking process and different fruit than the Charles Heintz Vineyards label. Grapes have been sold to Ceritas, DeLoach, DuMol, Freeman, Flowers, L'Angevin, Landmark, LIOCO, Littorai, Migration/Duckhorn, Moone-Tsai, Pierson Meyer, Porter-Bass, Rare Cat, Salinia, Suacci-Carciere, Von Holt, Williams Selyem, and Baton Wines. 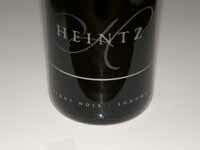 The wines are extremely limited in quantity and sold through a mailing list. 877-874-3852. Personal winery visits are available by advanced appointment.